With October already nearing its end, people are now concerned, more than anything, about how they could make this Halloween season their best one yet. And what better way to spend the remaining days of the month than to do scary things! But while the majority would prefer to dress up, some seem content with just doing anything spooky without the need for a head-to-toe costume and makeup. And for drone enthusiasts, their flying toys are the only thing they need to do that. 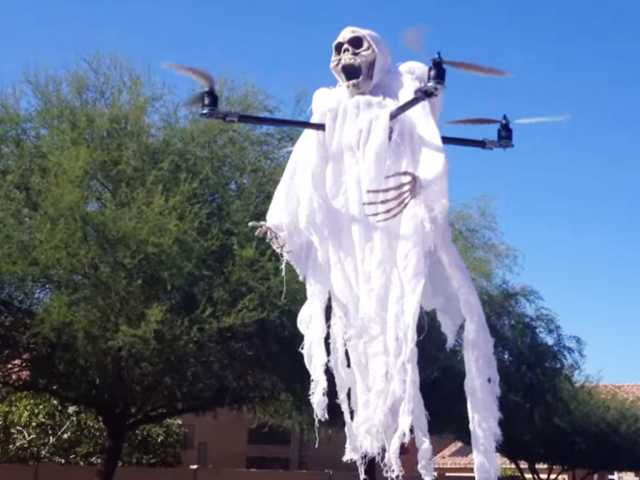 Getting creative with drones during the Halloween season is nothing unusual. A lot of times in the past, some drone owners have used to make these spooky times even more fun. It even has a name now: ghost droning. Ghost droning was quite a hit last year. If you want to join in the fun, let us tell you how to get started. 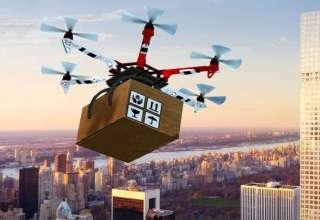 If drones could make Christmas and Fourth of July more enjoyable, why would Halloween be a different story? 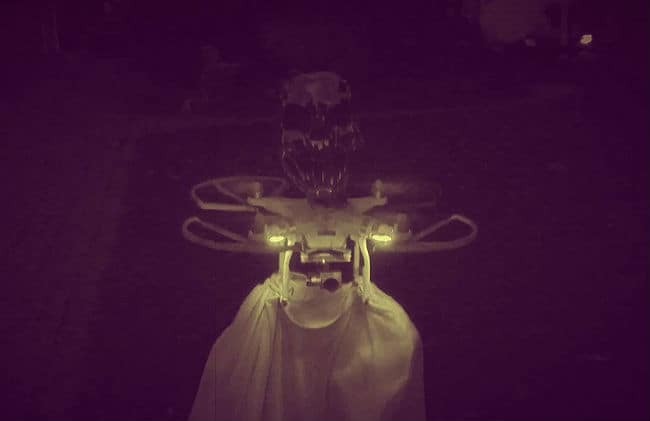 With a working UAV and a few other easy-to-find materials, you can make a whole ghost droning show that can make this season an unforgettable one for you, your family, and your neighbors, perhaps. First things first, make sure your drone is properly assembled, with all parts in the right place and powered by a good battery that allows for a prolonged and stable flight. Consult the manual that came with your drone so you’ll be guided as you set things up. 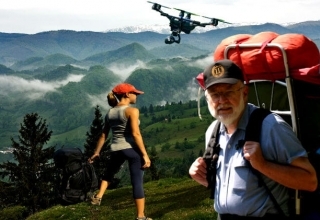 Take the time to double-check everything before letting the drone loose. Next is to make sure everything will be properly documented. Of course, why would you not want to have this recorded? Anything fun is worth keeping. So make sure to attach a camera that takes high-quality videos. 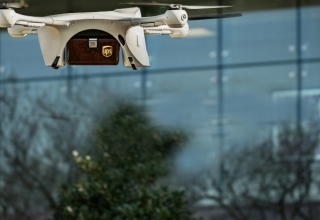 Most drones come with a camera, so this should not be much of a problem. But if you want to take media of better quality, you can attach a different one. Again, just make sure it is properly positioned to avoid accidents. And the most important of them all: the costume. 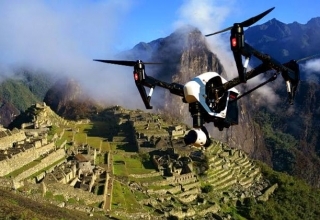 It’s never going to be scary if you just let the drone fly without it looking otherworldly. Complete the ghoulish stunt by giving your drone a little touch-up. The most commonly used approach is simple and very easy to make. Grab an old sheet, a black or white one would make a good choice. 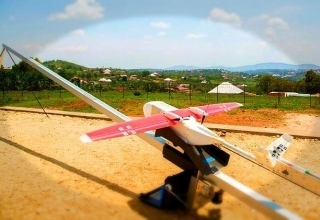 Just drape the cloth over the T-shaped frames of the drone. Make sure the camera and propellers aren’t covered, though. Then add a skull mask for the perfect Halloween look. 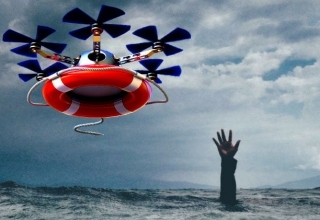 If your drone has LED lights, this ghost droning activity would be one for the books. The final step? Release it. Fly it around the neighborhood and give everyone a good scare because it’s October 31 and they’re entitled to it. Don’t fly it near the fainthearted, though. Halloween is when people would consider the dark alleys more fun than a well-lit room. It’s when kids knock on doors for treats dressed as a character from The Nightmare Before Christmas. Basically, it’s that time of the year where the scariest wins. We use our drones to have fun, so why not take advantage of its flying capabilities and make Halloween even more . . . ghostly. Some YouTubers have done ghost droning as a Halloween prank. Check out the videos below.